Ships today if you order in the next 2 hours 39 minutes. Do you have sore muscles and headaches? Do you feel tired and irritable? If so, you might be low on magnesium. 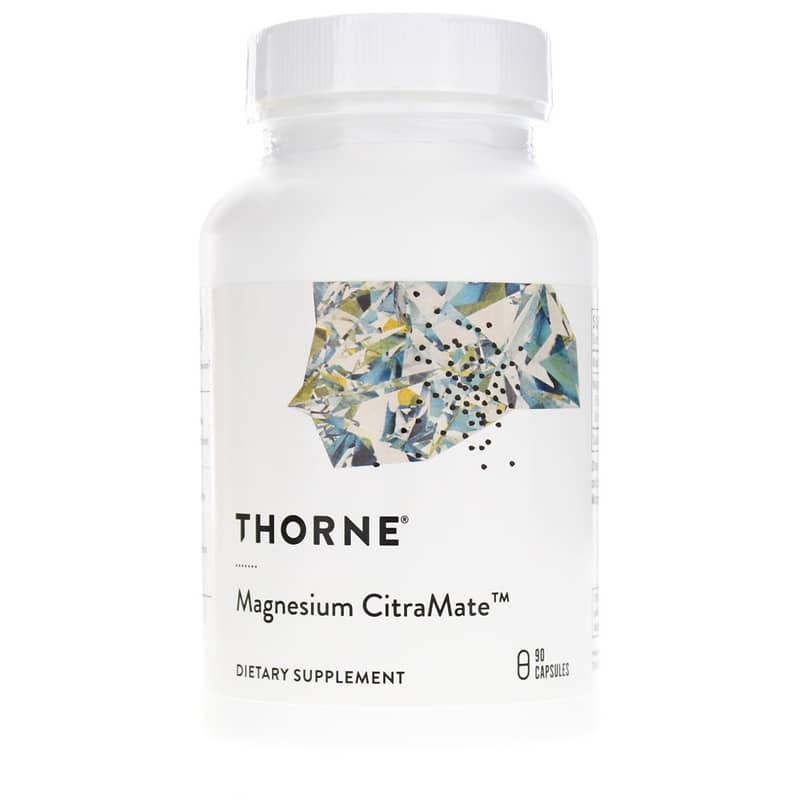 Boost your levels and your overall health with Magnesium Citramate by Thorne Research. Magnesium Citramate is a magnesium supplement bound to citrate-malate for optimal absorption for optimal results for your health. Magnesium is involved in more than 300 enzymatic processes within the body. As a result, if you become deficient in magnesium, you could experience an array of symptoms and your wellbeing could suffer. 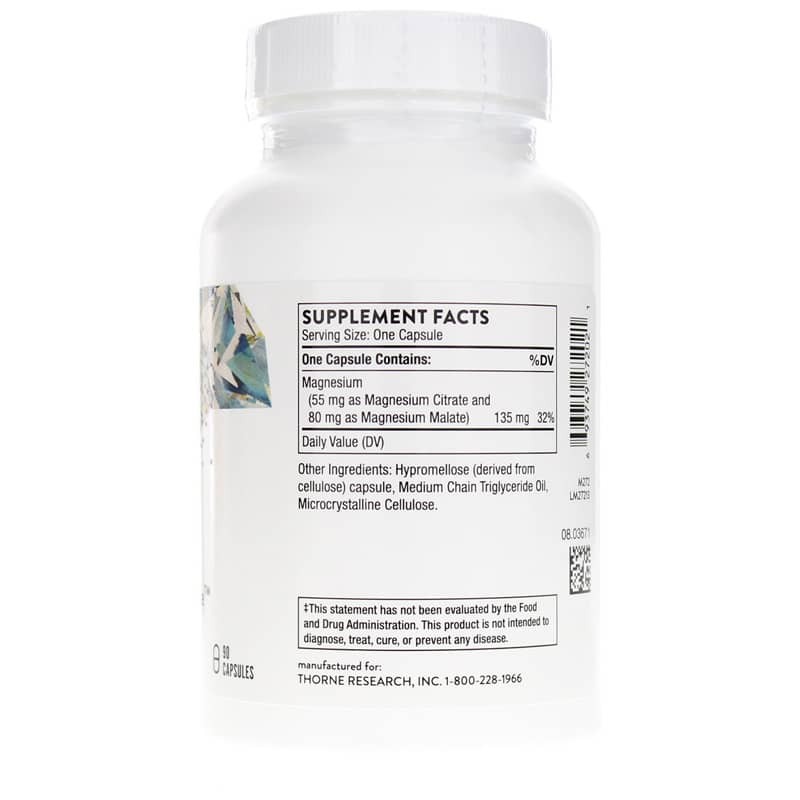 To give you the most benefit from your magnesium supplement, Magnesium Citramate is bound to citrate-malate. Not only does it make magnesium much more absorbable, but it also provides added support for individuals with muscle fatigue and soreness. In addition, citrate and malate chelates can also benefit energy production. 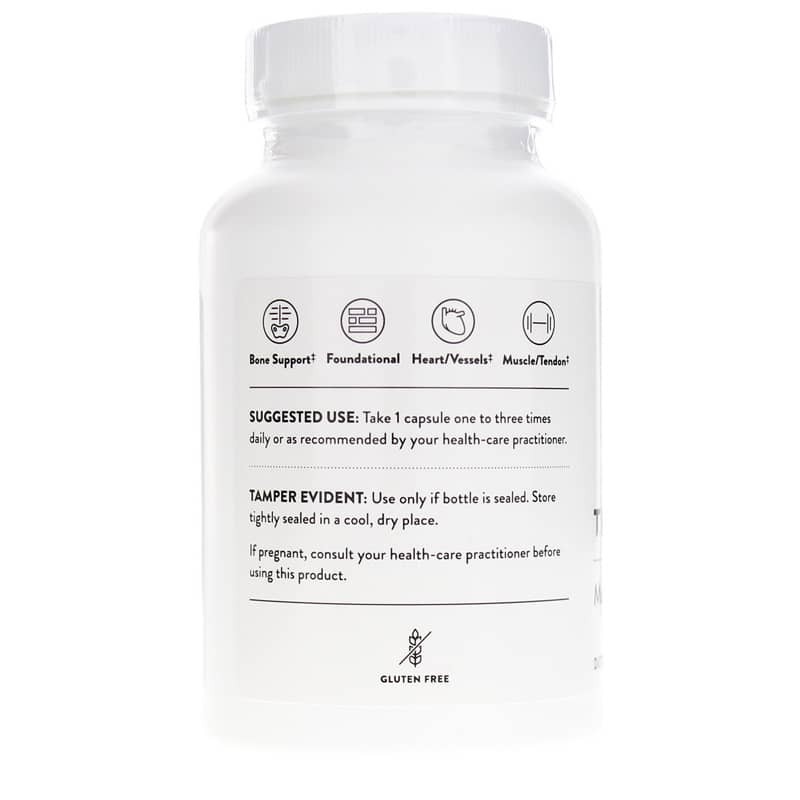 Support optimal health with an optimal magnesium supplement. Order Magnesium Citramate today! Other Ingredients: hypromellose (derived from cellulose) capsule, medium chain triglyceride oil, microcrystalline cellulose. Adults: Take capsule one to three times daily or as recommended by a healthcare professional. I have used this for years. Thorne Research has been the only one I have used. Highly recommend.